I can’t tell you how excited I am for the next month and all the festivities that will follow with it! 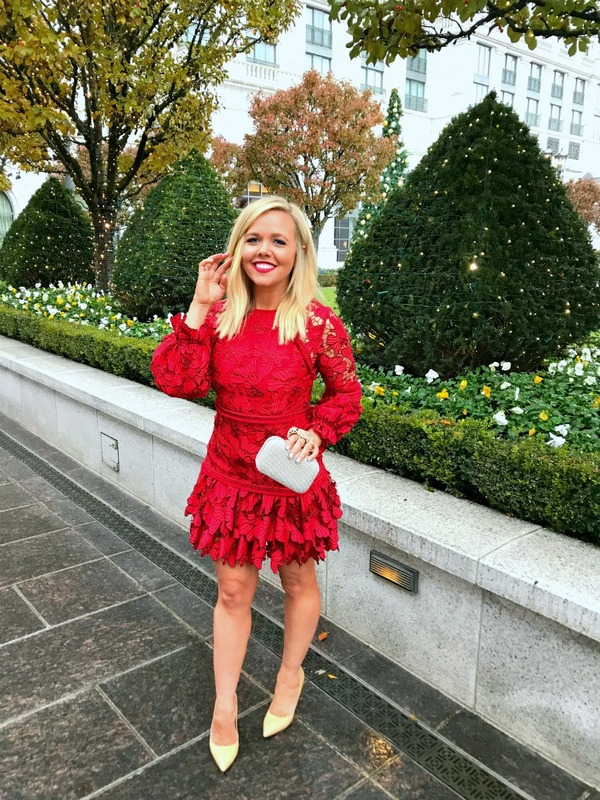 I was excited to start the Christmas season off at the OC Tanner party last Thursday, it was the perfect way to kick off the holiday season, and I definitely wanted to arrive in a show-stopping dress. 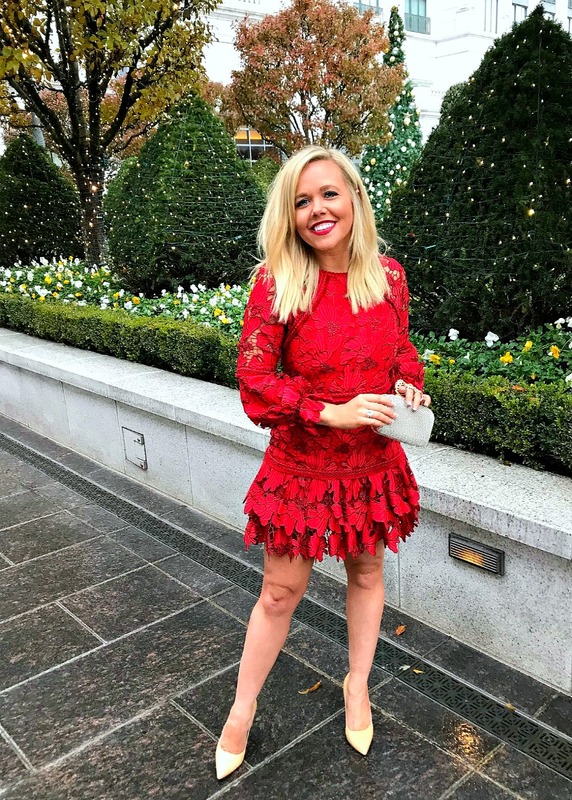 While I always love to buy new dresses, I decided this time to try renting a dress from Rent the Runway! And can I say, I loved it. 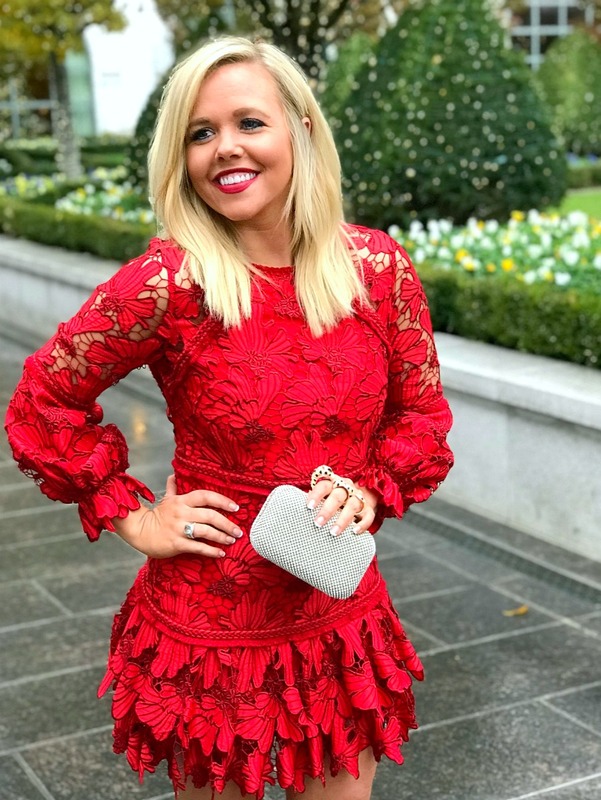 I was able to order this Alexis dress for such a great price, and not only did I get a second size for free, but I was able to rent a second dress complimentary as well. Now I just wish I would have had two parties last week so I could have worn them both, but don’t worry I made sure to snap pictures and will be posting the second dress for you all to see next week! Who doesn’t love getting dressed up? Especially during the holiday season! I can’t wait to see everything you all link up, from the red dresses…to sparkles…to satin, lets turn it up and get fancy next week. Bloggers : All bloggers will be able to submit their post links via the inlinkz widget below every Tuesday at 12:00am CST with their take on our trend of the week. This will allow bloggers to show off their personal style, find new followers and meet some great fashionistas! You will also have the chance to be featured on our blogs the following Tuesday (if you make sure to link back to Laura and my blog) ! So grab the button and link up. 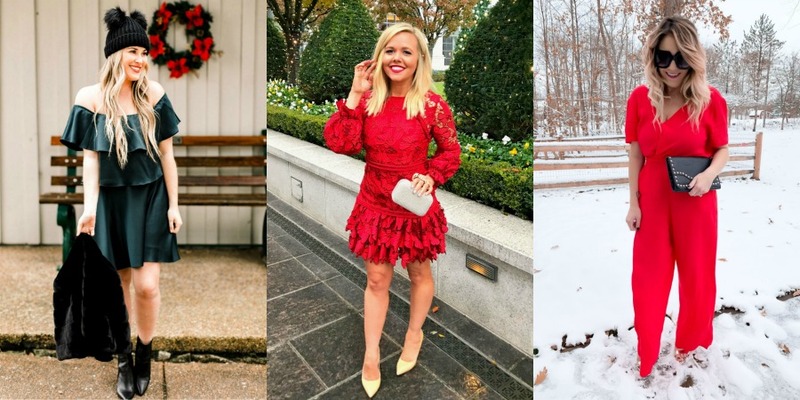 = ) For all bloggers we simply ask that you please follow your hosts – Walking in Memphis in High Heels, The Fashion Canvas and The Samantha Show and provide a link to the Trend Spin Link-up in your post or add the button below to your blog. Don’t forget to stop by everyone’s blogs to see how they wore the trend today. Leave a comment on my blog, and also on at least 5 other blogs! 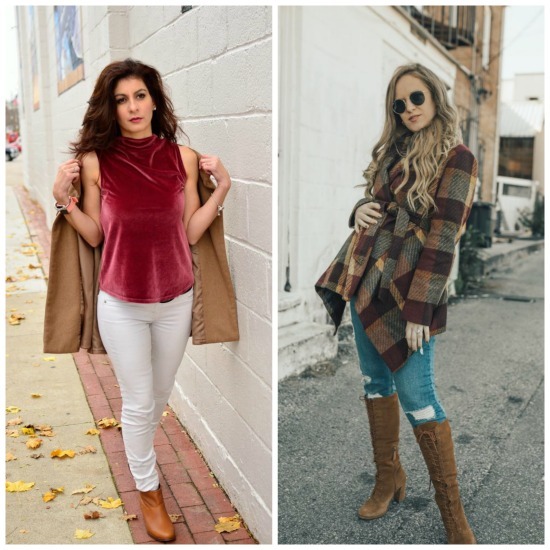 because we loved their Winter Style looks from last week’s linkup! Shop Silver Metallic Pumps Shoes, White Long Sleeve Tees, Saddle Bags, Blue Dresses and more. Get this widget.